Explore resources designed to help create a safer and responsible digital world. Developed in collaboration with experts, academics, non-governmental organizations (NGOs), and civil society organizations across Asia Pacific, our resources are designed to foster responsible citizenship. Download our five new workshops which include presentation slides, speakers notes and activities covering digital footprint, critical thinking, digital discourse, and media literacy. Our five part learning modules are designed to empower people with the knowledge to think critically about their digital behavior. It can be difficult to separate fact from fiction on the Internet. Explore the skills needed to navigate the digital world. A resource for teens, parents and educators seeking support and help for issues related to bullying and other conflicts. How you present yourself online and how others may perceive you in different ways depending on their perspective. A resource for educators looking to address digital literacy and build digital skills in young people. Locate your Settings and update your account options. Learn how to customize your privacy settings around your Facebook interactions. 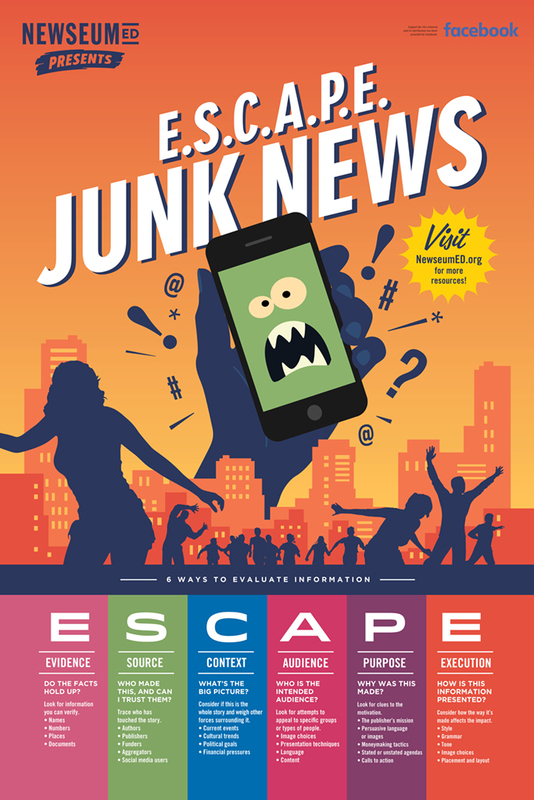 Be a better, more informed media consumer. Use this handy acronym to remember six key concepts to evaluate information. NewseumED – Is This Story Share-Worthy? 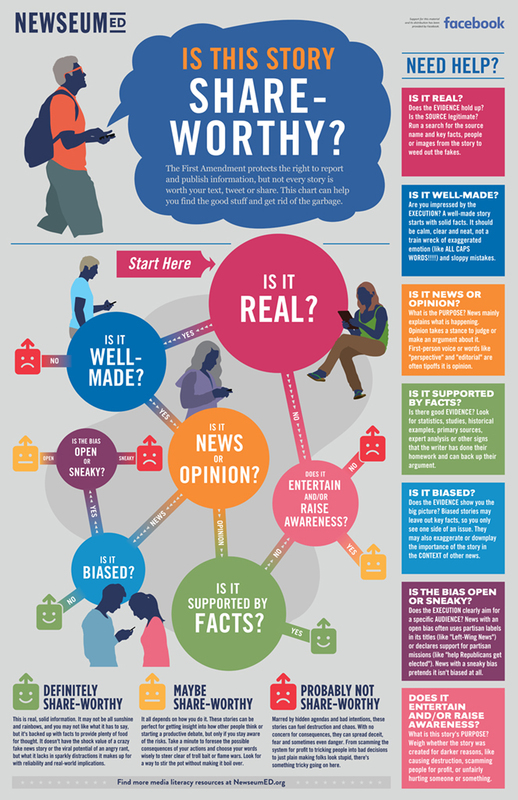 This handy infographic helps students to gauge the value of a news story and decide what they should do with it.